West Sussex Motorcycle Servicing and Tuning Specialists. 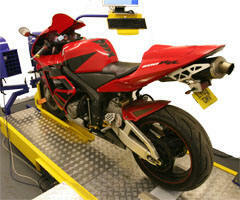 Welcome to SBS Motorcycles, your one stop shop for Servicing, MOT's, Tuning, Tyres and Race Preparation. All types of motorbike catered for including scooters, quads, road bikes and race bikes. Our fully equipped workshop in Chartwel Road, Lancing, West Sussex BN15 8TZ offers full motorbike service and repair facilities as well as MOT testing and a range of oils, parts and accessories. We have a dedicated Dyno room featuring the latest Dyna Pro dynamometer and brand new ProBike Navigator diagnostics equipment. We can supply and fit a Dyna Pro Interceptor or Dynojet Power Commanders with a custom fuel map to help improve your bikes performance and economy. 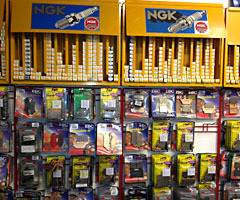 Please call on 01903 767887 or pop in to discuss which is best for your bike. A large range of tyres from Bridgestone, Pirelli, Dunlop etc is held in stock and we can fit to loose wheels or on the bike. Punctures can be repaired where possible.